What do you provide that they want? Who else provides something similar? What sets you apart from other providers? How will you show it through marketing? Now, what’s your marketing budget? Your answer to this question may eliminate some of the larger advertising agencies that mostly deal with national brands and million-dollar budgets. What you need is an advertising partner that’s local, affordable and most importantly, really good at what it does. Valpak of Cincinnati and Dayton is that partner. We’ve helped thousands of Cincinnati businesses target their best customers with cost-effective direct mail advertising. Let us do your media planning and customize a marketing campaign that delivers on your advertising goals. How would you like to reach local consumers for as little as 3¢ a household? No, that’s not a typo, it’s the benefit of shared direct mail. Each advertiser in Valpak’s envelope of coupon ads shares the cost of mailing, which makes print advertising that much more affordable. We have several options to meet your unique needs and budget. Each includes a market analysis, audience targeting, offer recommendations and creative design. With so many options, how do you choose? Click the Get Started button to tell us about your business and we’ll begin the strategic planning process. Which of these digital marketing tools would most benefit your business? Let us help you determine your best options with a free marketing analysis. Without marketing analytics, you’re unable to definitively determine how well your advertising is performing. Valpak performance tracking ensures you capture each consumer action in response to your direct mail campaign, from clicks to coupon prints to calls. Call the Cincinnati advertising experts at Valpak to implement performance tracking for your business marketing. Increase your sales by advertising in Cincinnati, Dayton, Mason, Montgomery, West Chester, Springboro, Florence and more cities in Ohio and Northern Kentucky. Contact Valpak of Cincinnati/Dayton to get started today. 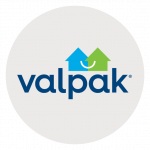 Valpak of Cincinnati/Dayton is an independently owned Valpak franchise. Five Star Swim School, which provides swim classes for adults and kids, chose to advertise with Valpak because of its wide audience. Page Miller, the manager, credits Valpak with helping to grow Five Star’s customer base with the ever-popular “free trial class” coupon. While the direct mail coupons for this health and fitness business certainly are a success, it’s the digital coupons from Valpak that offer the greatest return on investment. Paige would recommend Valpak to other business managers as it’s extremely easy to work with and meets the swim school’s marketing needs.